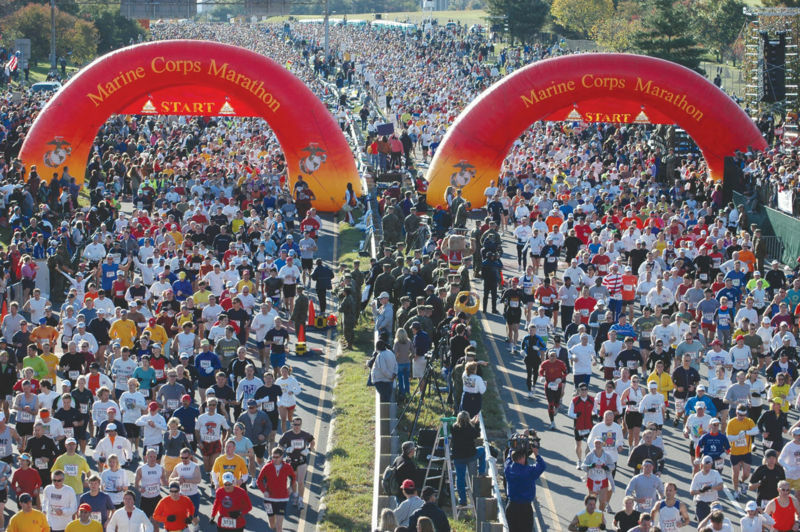 This Wednesday was the big day- at noon the Marine Corps Marathon Registration Opened. I sat attentively at my computer ready to pounce the minute registration opened. Then I spent an hour trying to register with the computer server clitches at Active.com. Only to end up with not 1 but 2 registrations in my name. Luckily one got refunded yesterday. And now as I look at the emails I get excited for what is to come and a little of "OMG what did I do?!" 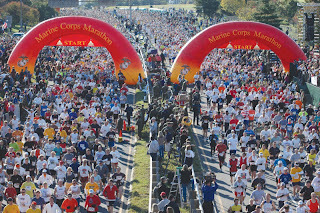 Running a marathon is on my list of things to do this year. I figure I am turning 30 so it is time to give it a shot. I hear Marine Corps is one of the best ones to do for a first. To be honest- I am scared. A little scared my hip will have issues when I go to build mileage. I know it can handle a half marathon but a marathon?! I am excited- this is something I have wanted to attempt for a long time and been to scared to pull the trigger. Well the trigger is pulled the registration confirmed. Now it is time to start the training clock- 20 weeks! LOL! Next weekend we are going down to DC to run the Cherry Blossom 10 Miler. I hope to beat my 1:39 Army Ten Miler time. Goal is to be around 1:30. That is what the pace calculators tell me should be do-able with my recent paces in races. I am really looking forward to what is shaping up to be another EXCITING season! im sooooo excited for you!!! !